We all love spending time on this porch! 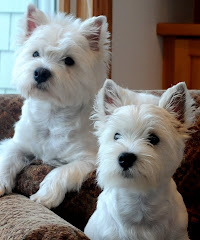 The westies didn't get their nap today so by the time we got home they were well worn out. What a life these two have!